Katrine Connelly, the editor/adventurer behind the website My Open Country, kindly suggested referencing her site’s post on The ABCs of Packing a Backpack. 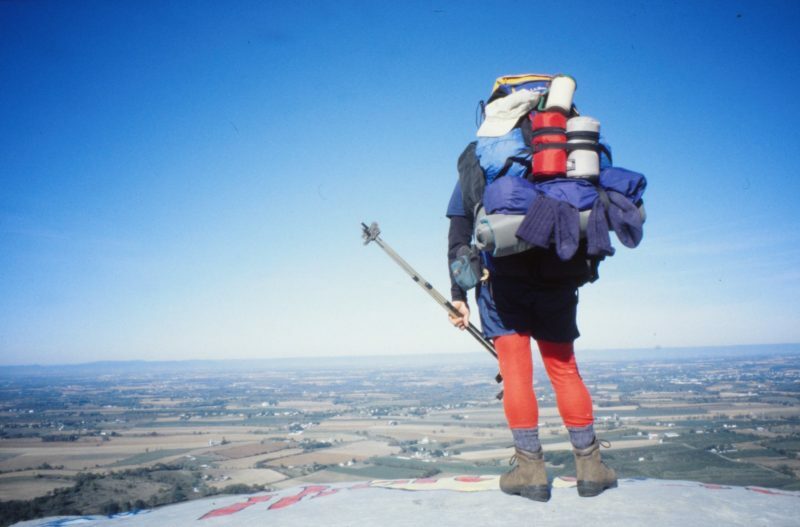 I am thrilled to do so because the piece not only shows you how to load a backpack — the ideal “carrying zones” for heavy, medium and light items — but also provides advice on choosing pack size, which is also an often asked question. One thing I’d like to add is a few tips on packing the gear that goes inside your pack. Sleeping Bag – In addition to the stuff sack that comes with the sleeping bag, I always carry heavy-duty plastic bag in the bottom of my pack that’s large enough to protect my sleeping bag if it rains. If rain is in the forecast, I wrap the stuffed bag in the plastic one before I leave camp. Why not just do this every day? I prefer to let the bag breathe, if at all possible. Clothes – I use a color-coded stuff sack system — a different color for each type of clothing (socks, underwear, rain gear, etc.). I buy them at Ragged Mountain Equipment because they’re made in New Hampshire, USA by really great people (as a bonus, their stuff sacks are inexpensive). If rain is in the forecast, I pack my bright red raingear stuff sack in the top of my pack. If it starts raining, I can get to it without rummaging around through an open pack while everything in it gets wet. Food – I also use a large stuff sack to carry my food (almost all if it repackaged to minimize weight and maximize space). Water – My water filter gets its own mini stuff sack – bright yellow, so I have less chance of leaving it next to a stream somewhere. I carry my filter and water bottles in the pack’s exterior pockets, so they’re always within easy reach. Thank you, Kat, for reaching out. I hope to see you out on the trail sometime!